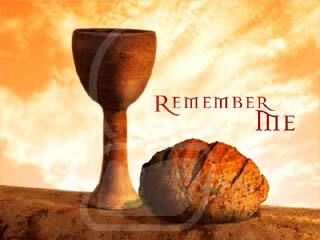 Holy Communion is the highest sacrament of the United Methodist Church. This sacrament is often called by other names, including the Lord's Supper, the Last Supper and Eucharist. The United Methodist Church recognizes only baptism and Holy Communion as sacraments because they were the only acts ordained by Christ. In Holy Communion, we remember and proclaim God's saving work through the life, death and resurrection of Jesus Christ. We are reminded again of the gifts of God's grace and forgiveness given to each of us. In communion, we celebrate what God is doing among us and in us. In the United Methodist Church, Holy Communion is open to all persons. You do not have to be a member to participate. Communion is served the first Sunday of the month. There will be Junior Church when Communion is served, however they do join us form Communion.